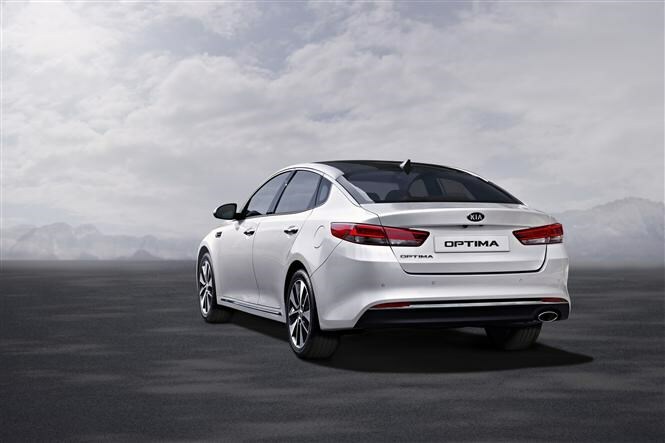 Now entering its second-generation in the UK, the new Kia Optima saloon offers an updated interior and exterior design, more technology and an improved diesel engine. It's set to take on established rivals such as the Ford Mondeo, Vauxhall Insignia and Volkswagen Passat. Refinements to the suspension should mean a better ride and handling set-up than the old car too. There are no big headline changes but when added together, these incremental improvements should make the Korean saloon more attractive than ever. Plus, we’re expecting the range to be joined by a capacious estate in 2016. 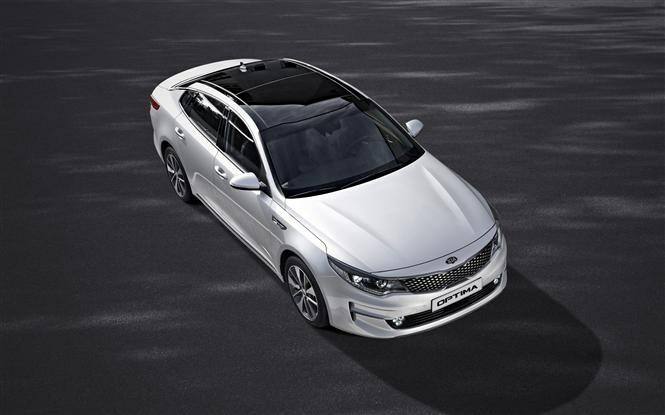 The Optima has grown in size over the old car and this means more space for passengers inside - an extra 10mm between the wheels and 25mm of width enables more head, shoulder and rear seat legroom. The boot is also five litres larger. A more swept back look enhances the sporty image of the Korean saloon and also makes it more aerodynamic than the outgoing model. Inside the changes focus around an increase in luxury thanks to more technology, soft-touch material, and soundproofing. Like the new Sportage, the Optima’s dashboard is split into two zones, one for display and one for control. Depending on the specification level, a new seven- or eight-inch colour touchscreen takes care of the former, while the lower control zone now features a cleaner look with fewer buttons. Newly-shaped front and rear seats benefit from stiffer frames to reduce vibration and weight, while softer and more supportive foam ensures more comfort. As well as rear seat heaters, the windows in the back feature built in shades to help cut out direct sunlight. The 1.7-litre diesel engine from the previous generation car has been carried over but with upgrades to enhance power and torque, plus a reduction in emissions. It now produces 139bhp and 340Nm of torque, but 14 percent less CO2, with 110g/km achievable with a manual transmission and stop/start technology. This engine is also available with Kia’s new seven-speed dual clutch automatic gearbox, which promises a sportier driving experience thanks to near-instant shifts. Although this pushes CO2 emissions up to 116g/km, in comparison to the old automatic the new DCT box is 40g/km cleaner. Kia claims to have made improvements have also been made to refinement as well as ride quality and handling, Wind, road and engine noise has been reduced with more soundproofing and a lighter, stiffer chassis should mean more agility. A new rack-mounted electric power steering system is as standard and should provide greater steering feel. An optional electronically controlled suspension system also allows the driver to choose between sport and normal modes for further adjustability. 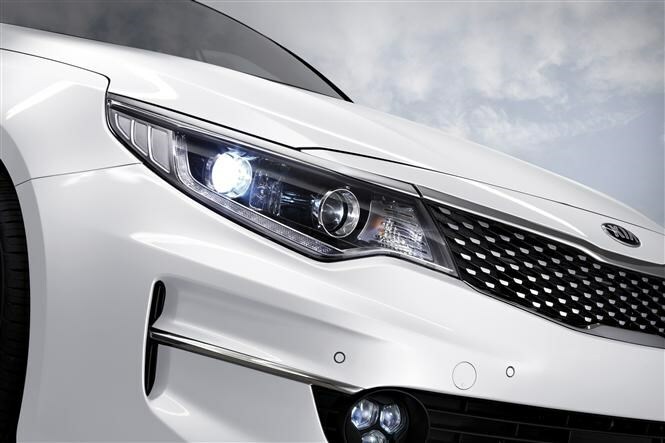 A strong body shell and wider range of active safety technology is offered on the new Optima. There are also seven airbags, with driver, driver’s knee, passenger, two front side and two curtains fitted. Kia’s Vehicle Stability Management is fitted as standard, as is Electronic Stability Control. You can choose to add Smart Cruise Control, Autonomous Emergency Braking, Lane Keeping Assist System, High Beam Assist, Speed Limit Information Function, Blind Spot Detection and Rear Cross Traffic Alert. 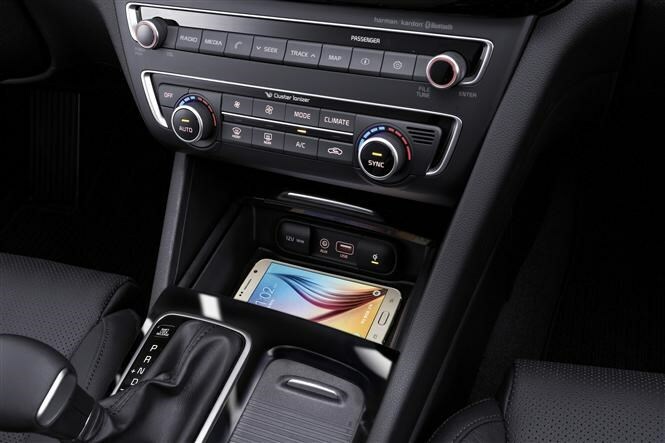 As well as increased safety technology, there are a host of new gadgets too, including wireless phone charging and an upgraded infotainment system. Kia Connected Services uses TomTom technology to deliver live traffic updates, speed camera alerts, local search and weather forecasts and is free of charge for seven years after the car’s purchase. The new Kia Optima goes on sale at the end of the year.